What are the different types of Skin Therapy available? Skincare is very important to most people these days. 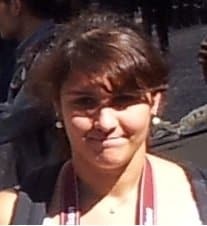 Who does not want great skin, right? Skin therapy is just one of the many facets of skin care that people are hooked on. In this article, you will learn about what skin therapy is and treatments that you can invest in. Aside from skin therapy treatments that you can avail of, there are products as well that give you the same, if not, almost similar results in your skin. This will not only save you money, but you get to do it in the comforts of your own home as well. 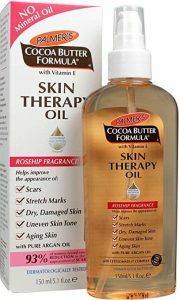 The Palmer’s Cocoa Butter Formula Skin Therapy Oil is a cutting-edge multi-purpose skin perfection product from Palmer’s that can be used on your face and down to your toes. The product is preservative-free and contains a lightweight formula with key ingredients formulated to help improve the appearance of scars, stretch marks, dry, damaged skin, uneven skin tone, aging skin and fine lines and wrinkles. All the skin problems that no one wants to have. Learn more about the brand here. Not your traditional toner! 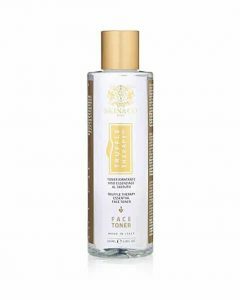 The Skin & Co. therapy toner is designed to cleanse and purify the skin deeply. With natural extracts of Truffle, Calendula, Rose and Rosemary, Skin & Co. created a product that will deeply purify the skin and at the same time works with its antiseptic powers to remove dead skin and bacteria. This contributes to preventing future breakouts while improving the skin with extra antioxidants. The Advanced Therapy Lotion from Lubriderm is the solution to soothe and help relieve extra-dry skin. 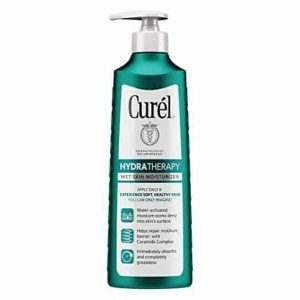 Enriched with Vitamins E, B5 and skin essential lipids, this therapy lotion absorbs in seconds and has been clinically proved to moisturize skin for as long as 24 hours. Skin therapy or treatments for the skin is very popular among people who want to achieve more beautiful and healthier skin. By definition, therapy relates to treatments of diseases or disorders by remedial agents or methods. Skin therapy is everything related to products and procedures that revolve around skincare. Each one of us has “insecurities” in our skin, and there are the different procedures and products that can help us get rid of them. These three can be quite confusing to some. Let us differentiate them. Esthetics is the process of applying different treatments to the skin to maintain its good health and vigor is called. These estheticians are trained to handle the skin, and they specialize in skin wellness. Estheticians can provide you with a diagnosis, prescription or therapy that requires a medical license so they can provide support therapies after your derma session. Sometimes, they are the ones who will refer you to a derma. Dermatology is a branch of medicine that deals with disorders in the skin. This is practiced by licensed physicians. 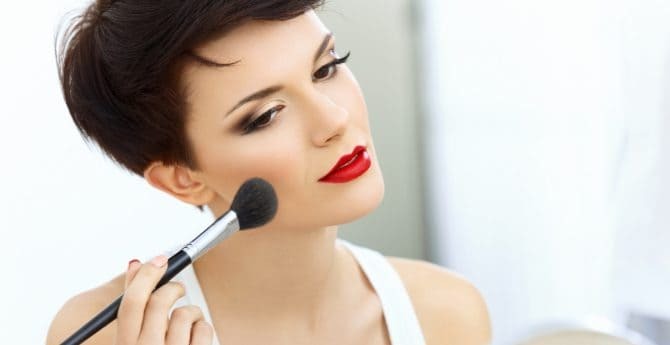 Cosmetology is the study of beauty treatments that include nail and hair care, makeup, skincare and more. This is the process of removing dead skin cells manually from our skin. It can be through scrubbing or brushing. Another way is through m chemical peel which is a product that causes dead skin cells to shed on their own. This is the most popular kind of skin therapy treatment. It is one way for skin experts to take a good look at your skin before recommending more aggressive treatments. A basic facial includes skin cleansing, exfoliation, steaming, facial massage, treatment masks and moisturizing. Most people schedule their facial sessions every month though it can vary depending on your skin type and skin needs. This is the process of cleansing the pores in four different ways- manually through the use of hands with gloves, applying gentle pressure to remove the dirt, using metal extraction and through the use of a lancet. A lancet is a small sharp blade used to lift the dead cells in the skin before the actual process of extraction. Microdermabrasion helps in improving the texture of your skin, fine lines and the how skin care products penetrate your skin. It is the process of rematerializing the skin using equipment that sands the skin’s outer layer. They use a wand tipped with crushed diamonds or a spray of special crystals which are then suctioned back up along with the dead skin cells. Technology makes our lives continuously evolving, and it gives no exception to skin therapy treatments. These are some of the current trends in skin therapy today and know why more and more people are raving about them. These so-called Botox injections are popular among those that want to reduce the appearance of lines and wrinkles in the face. This injection is done by injecting a very small amount of Botox, which is made from a certain type of bacterium that causes botulism, into the face muscles. The Botox then paralyzes the muscles in the face or blocks nerves. The procedure takes about 15 minutes and does not require anesthesia or recovery time. Another way to treat those unwanted wrinkles, uneven skin tone, and acne scars is through laser skin resurfacing, which is very popular nowadays. This treatment makes use of short, pulsating light beams to treat skin problems while removing the outer layer of the skin and heating up the deeper layers. This event triggers the production of collagen, which helps the skin look smoother and firmer. Side effects include redness and sensitivity to sunlight for several months. Results can last for years which, again, is a good investment. To be able to treat your wrinkles, acne scars, age spots and other skin problems you don’t want, chemical peeling is the treatment to go to for you. A chemical peel is a process of applying the chemical solution in your face to remove the damaged skin. They range from mild to deep chemical peel which depends on the state of your skin problems. Results of a deep chemical peel can last up to 10 years so it is definitely a good investment. Last but definitely not the least, we have the dermal fillers which basically the name suggest- injecting fillers into the skin. These fillers can plump up your lips or cheeks. Hollywood celebrity Kylie Jenner has been vocal about undergoing lip fillers to get fuller lips. Most dermal fillers are temporary. They dissolve in 6 to 18 months. Apply fresh-squeezed lemon juice to your entire face and neck. Let it stay for at least 10 minutes and then rinse with water. You can also add some cucumber slices into this regimen and rub them on your skin to soften and moisturize it. It is recommended to do this daily or every other day. Squeeze the juice of the lemon and mix it with one to two tablespoons of raw honey. Apply then leave on face for about 20 minutes. Rinse afterward. For exfoliation, mix two teaspoons each of lemon juice and sugar. Apply the mixture on your face and make sure to get some on your neck and hands as well. Scrub in a circular motion and leave it on for 10 minutes. Rinse afterward. An excellent antiseptic and skin-lightening agent, turmeric helps greatly in minimizing scars and other unwanted marks. Plus, it can also help in treating some allergic, inflammatory and infectious skin disorders that result in a dull and lifeless skin. Mix turmeric powder with pineapple juice in a bowl to make a paste. Apply this to your face and neck. Leave it on until the paste dries completely then rinse with water. Make another paste by mixing equal amounts of turmeric powder and gram flour with a little water or milk. Apply it evenly on your skin and leave it on until it dries. Wash it off with lukewarm water, scrubbing your skin gently in a circular motion. Keeping your skin moisturized is the key to clear skin and honey is a great moisturizer. It also has antibacterial properties that help get rid of an infection. Another way is to make a facemask. Mix two teaspoons of milk and one teaspoon of honey with one teaspoon of gram flour. Apply it all over your face and leave it on for 20 minutes. Use this face mask once a week to enjoy radiant and clear skin. Extract the gel directly from an aloe vera leaf and using a cotton ball, apply the gel on your face. Allow it to dry then rinse it off with water. For best results, do this remedy daily or several times per week. Baking soda balances pH levels of the skin, have mild antiseptic and anti-inflammatory properties and it also works as an excellent exfoliating agent to keep the skin free of dirt, impurities and dead skin cells. Mix one teaspoon of baking soda with one teaspoon of water or lemon juice to make a paste. Cleanse your face and use the paste to gently exfoliate the skin. Then rinse your face with water and pat dry with a towel. Another procedure is to mix one teaspoon each of baking soda and raw honey. Apply this mixture onto damp skin and massage gently for at least one minute. Then wash with lukewarm water and afterward, splash some cold water on your face to close the pores. Cucumbers have hydrating, nourishing and astringent properties all rolled into one. It can help improve the overall appearance of your skin by repairing damaged skin cells, removing dead skin cells and adding a fresh glow. Prepare slices of fresh cucumber and rub them directly all over your face. Leave it on overnight and rinse with water the next day. Do this daily before going to bed. Another is to make a mixture with equal amounts of cucumber juice and lemon juice. Apply this mixture to your skin, allow it to dry completely, and then wash it off with warm water. Do this daily. These are just ways to make you feel more beautiful and comfortable with yourself. It is still very important to note that, first and foremost, we must accept the skin that we are in. In the words of the amazing Lady Gaga- you are beautiful in your own way because God makes no mistakes.